The Freedom Challenge Cup, a competition between local elementary schools to collect food for Tackle Hunger, collected over 17,500 non-perishable food items this year to help those in need during the holiday season. The competing schools were Acworth Intermediate, Bullard Elementary, Kennesaw Elementary, Lewis Elementary, McCall Primary, North Cobb Christian and Pitner Elementary. The food collected went to stock the food pantries at Acworth United Methodist, Mars Hill Presbyterian, Redemption Baptist and MUST Ministries. The competition was presented by Freedom Church, Piedmont Church, NorthStar Church and the City of Acworth. 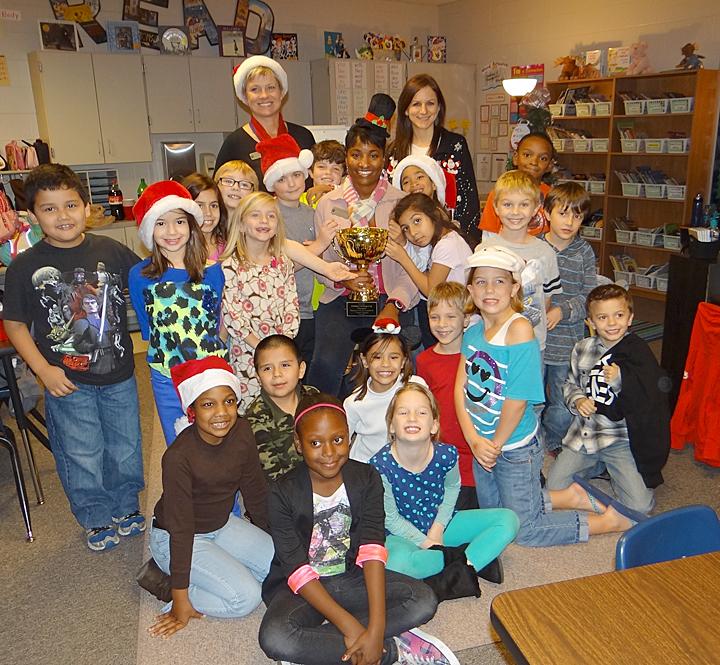 The winner of the first annual Freedom Challenge Cup was Bullard Elementary with 9,000 items. Bullard received the Freedom Cup to display at their school. Congratulations to all of the participating schools for taking the Challenge and helping our community Tackle Hunger!